The MySchool MyVillage MyPlanet community loyalty programme is celebrating 21 years of giving back. 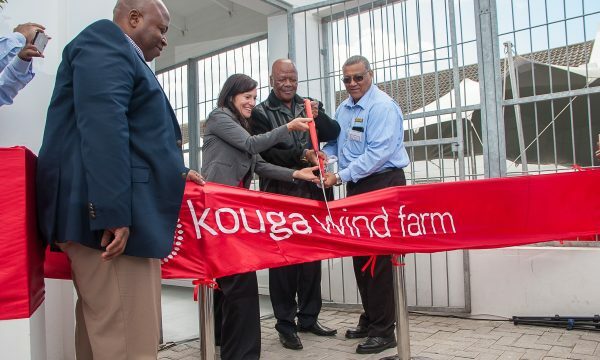 To date, more than R500 million has been raised for South African schools, charities, animal and environmental causes thanks to supporters swiping their cards at participating retailers. In celebration of its 21st anniversary, MySchool MyVillage MyPlanet has launched the ‘21 years of Giving Back’ campaign with R2.1 million to give away to 21 causes. Supporters are invited, until the end of February 2019, to nominate any South African charitable organisation that matters to them. On May, 21 winning beneficiary organisations will be chosen from the list of nominations to each receive R100 000, and the supporters who nominated them will each receive an R1000 Woolies Gift card. Originally, an innovative school fundraising concept, the programme has evolved over the past 21 years so that cardholders today also support other causes that are close to their hearts. MyVillage beneficiaries are a wide range of human development and care charities; while MyPlanet refers to those beneficiary organisations whose work involves animal welfare, conservation and environmental causes. Each cardholder can nominate up to three beneficiaries, and donations are made by participating retailers on their behalf, and at no cost to them. 21 years down the line, there are 1 200 000 active cardholders raising funds for over 8 000 beneficiaries of the MySchool MyVillage MyPlanet programme, of which over 890 000 swipe for schools; 102 000 for MyVillage charities and 137 000 for MyPlanet organisations. To celebrate 21 years of giving back, cardholders can nominate their favourite beneficiary or any other cause in their community. “We want to encourage our supporters to also consider bringing local, smaller organisations doing heroic work in their communities into the fold, and for whom the giveaway of R100 000 can make a considerable difference,” says MySchool MyVillage MyPlanet General Manager, Pieter Twine. Year on year, more and more South Africans sign up for their free MySchool MyVillage MyPlanet cards. Over the past fiscal year, a total of just over R83 000 000 was raised with R7 326 048 and R10 491 111 going to MyVillage and MyPlanet beneficiaries, respectively. For many schools, charities and conservation organisations, MySchool MyVillage MyPlanet has become a sustainable and meaningful source of funds. Funds raised by cardholders have also enabled some important donations over the last year. Thanks to the supporters of the MyPlanet Rhino Fund, a new Foxbat aircraft was donated to the Kruger National Park to help combat Rhino poaching. A major donation to the Shine Literacy programme helped to support their expansion and the promotion of reading skills. In 2018, the first Dream2Teach bursaries were awarded to two young South Africans who have the calling to become teachers but couldn’t afford tuition fees. 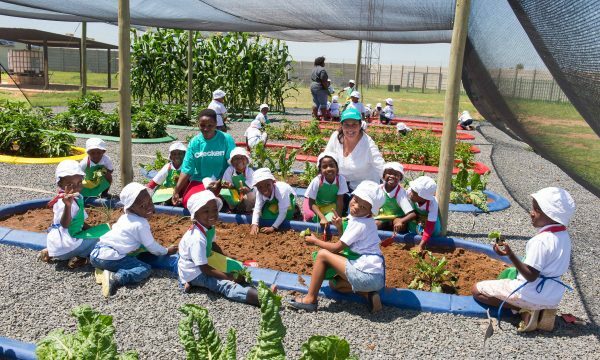 Across South Africa, large, national charities as well as smaller, local causes are well-supported by the MySchool MyVillage MyPlanet programme. Over the past year, the top MyVillage supported by Capetonians is the National Sea Rescue Institute (NSRI) and the most popular MyPlanet is the SPCA-Cape of Good Hope, South Africa’s oldest SPCA. In Johannesburg, CHOC Childhood Cancer Foundation was the most supported MyVillage and the Endangered Wildlife Trust emerged as the top MyPlanet beneficiary. Durban MyPlanet cardholders raised significant funds for the local SPCA-Durban & Coast; while I Care, who are devoted to finding meaningful and sustainable solutions to the challenge of street children, is one of the top MyVillage beneficiaries. In Pretoria, local animal welfare organisation Wetnose Animal Rescue was the top MyPlanet beneficiary and the most popular MyVillage was the SA National Council for the Blind. Port Elizabeth cardholders raised the most funds for their local branch of the Animal Welfare Society and for the Aurora Children’s Centre which cares for children with physical and intellectual disabilities. Similarly in Bloemfontein, a local animal welfare organisation, New Beginnings was the top MyPlanet organisation and the most popular MyVillage beneficiary was the Carel du Toit Centre which provides vital services for children with hearing impediments. “It’s been a fantastic year of not just supporting national causes but also the smaller community-based organisations and causes,” Twine concludes. “We hope that R2.1million to give away to 21 causes to celebrate 21 Years of Giving Back will inspire supporters to put their local heroes in the spotlight and give them a chance to win R100 000 towards the continuation fo their important work within communities. MySchool MyVillage MyPlanet is also making donations to a selection of causes, in celebration of their milestone birthday. 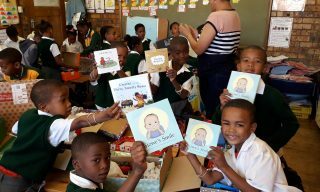 So far 21 of the SPCA’s most in need each received R10 000; 21 000 Book Dash books were added to Santa’s Shoeboxes; 2 100 Tutudesks will be donated to learners at under-resourced schools in Limpopo; and 21 ‘Smiles’ (cleft lip/palate operations) with Operation Smile will be implemented in April 2019. The 21 Years of Giving Back campaign is open to MySchool MyVillage MyPlanet supporters throughout the country. If you are not yet a cardholder, you can sign up for free at www.myschool.co.za or download the MySchool MyVillage MyPlanet App, nominate the cause that matters to you, and be part of the active citizenship our country needs.